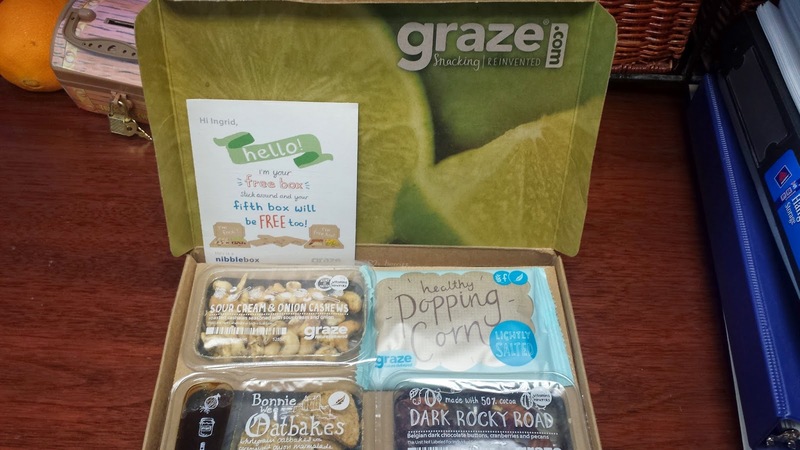 THE MARTINI CHRONICLES: Healthy Snacking Delivered Straight to the Office...Thanks Graze! Healthy Snacking Delivered Straight to the Office...Thanks Graze! Quick story (I promise! )....a couple of weeks ago, a friend/colleague introduced me to a new way of snacking in the office. She was walking around the office with a box full of snacks. I was intrigued...a box full of snacks! Who doesn't love snacks?! When I asked her what she was eating, she told me it was a Graze box. We were heading into a meeting, so I didn't bother to ask for more details. A little later in the day, I walked back into my office and saw that she had left a little "coupon" for the Graze box on my keyboard. She also sent me a link to the Graze website. I had no clue what I was about to get myself into, but I went to the website anyway...snacks were involved! And once I checked out Graze.com, I was all in! If you are as excited about snacks as I am, you are probably begging me to tell you about this Graze box. 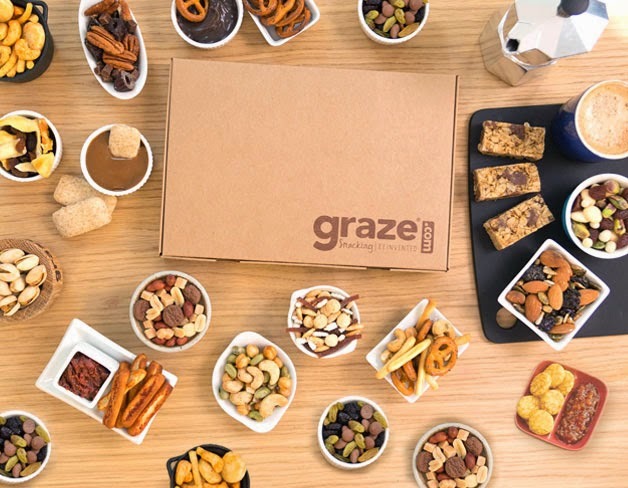 Graze is a service that delivers fresh boxes of healthy snacks to your home or office on a periodic basis. Each box contains 4 snacks (there are over 90 options), and is composed of healthy foods, including nut and seed mixes, dried fruits, crackers, dips and dippers, and other natural snacks. How do you get your box? You go to Graze.com and create an account. 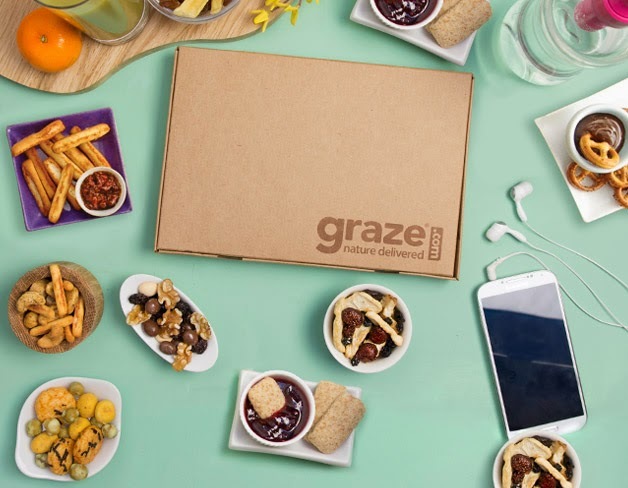 During the registration process, you input the address to which you want your Graze boxes delivered, and the frequency of your deliveries (i.e. weekly, every two weeks, once per month, etc.). You can even go through the catalog of snacks and select whether you want to try it, like it, love it, or trash it. Once your account is created, you can log on to see which snacks are on their way to you. You can also see and rate the snacks in the boxes you already received. My first Graze box was delivered to my office last week. Check it out! Each Graze box costs $6, and is billed to the credit card you place on file during registration. I used my friend/colleague's code when I signed up, and ended up getting my 1st and 5th box for free...yay for me! And, you can modify your delivery preferences or cancel your subscription at any time. So, why am I sharing this information with my fellow Divas and Gents? For one, many of us professionals who spend a lot of time in the office are more likely to snack throughout the day. Why not snack on something healthy? After all, beach weather is right around the corner...cakes, cookies, and chips are not conducive to the Summer body you spent all Winter creating. Each Graze box boasts a number of healthy benefits, each of which are noted on each package and represented by appropriate symbols. Each snack is also perfectly-portioned, so there's no post over-indulging guilt...there's no time for that! 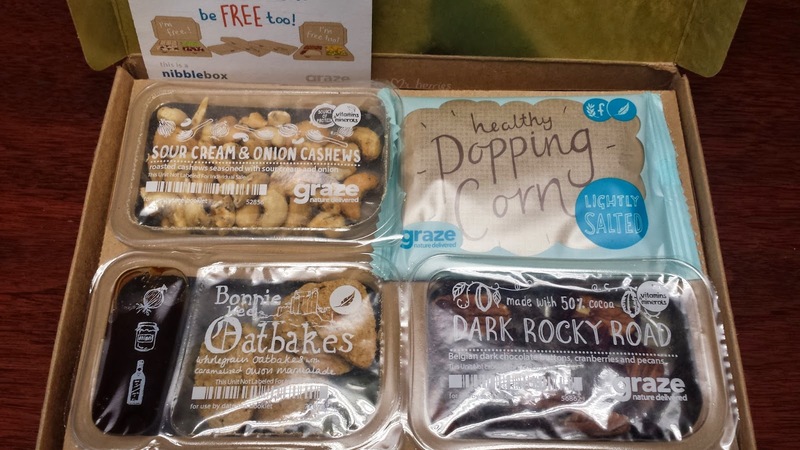 Overall, I am super impressed with the concept of the Graze box. I enjoyed my snacks over the course of a week, and not once did I feel bad about what I was consuming. I can't wait to get my next box! If anything I've written in this post is of interest to you, do yourself a favor and head over to Graze.com. Get your healthy snacking on! Side note: Just so you all know, I was not compensated in any way by the wonderful owners of Graze. I am simply a humble attorney looking for healthy and tasty snacks to get me through my busy day...without adding extra inches to my hips...you dig?! This definitely something I'm willing to try.